ZoomNotes is the most comprehensive visual note-taking app with huge zoom range. Make handwritten notes and sketches on virtual paper, huge WhiteBoards , PDF files, images and MS Word, Excel and PowerPoint documents (via GoogleDrive). Sync your documents between your iPad and iPhone with iCloud. 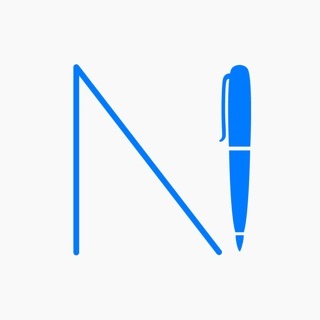 ZoomNotes is compatible with any capacitive stylus pen and also with the top electronic pens on the market including the fabulous Apple Pencil. Either import a planner pdf or use the ‘Custom digital planner’ option to create your own. Add links between pages, and even between documents. This lets you create your own digital planners, enhance imported pdf planners or create indices. Edit and view two documents side by side (or above and below). You can now also have 2 views of the same document. Add events linked to your documents, possibly with alarms. The URL in the event links back to the document in ZoomNotes. Documents can be optionally geo-located and viewed as pins on a map. Layers let you control what is visible on a page, also options for 'master layers' which show on all pages. Insert images (photos) in your documents at any size and scale. Crop, mask, re-sample, edit transparency, scan-correct and deform images. Insert images and videos from camera or photo library. Share documents as PDF files, images, videos or ZoomNotes documents (via email, iTunes, clipboard, Dropbox, Twitter and Evernote, Airdrop, iCloud Drive and Open in. ZoomNotes is VGA compatible for use with projectors, monitors and AirPlay. Write into a zoomed in view whilst still viewing the zoomed out view. This is the most versatile note taking app I have found. I use it for all my note taking. I really like the ability to insert handwritten notes with pdf files, including adding pages etc. It takes a bit to get used to all the features but it is well worth the effort. The ease of zooming in and out and writing in the margins of PDF files is also very handy. Still very happy with it. I love the infinite whiteboard option. It really feels like having a large whiteboard where you can write anywhere. It’s also great for annotating a pdf file when you need to write more than just minor comments. This is the second review I’ve ever written for an app (and I’ve downloaded my fair share over the years), but I had to write this review. ZoomNotes is feature rich and worth the small amount of effort it takes to explore and learn how everything works. I’ve downloaded nearly every major note taking app in the AppStore and think this one is the best! This app does more than mimic writing on paper. It actually allows you to use all of the benefits of a tablet (zooming, scaling, rearranging notes and imported objects, shape recognition, sub-notes, image and video import, etc.) to create a truly unique writing/researching experience. Being able to import an entire PDF as a sub-note is amazing! This app is a joy to use, highly customizable, and allows me to research and take notes in a way that matches the way I think. If I had it in grad school, I’m pretty sure my thesis would have taken half as long! Big thanks to the developer(s)!!! Keep up the great work!!! Maybe you could add handwriting to text conversion? It’s certainly not critical, but it would be a killer feature that would make a truly amazing app that much more so. Best note taking App for Math and Chemistry!! I have been using ZoomNotes for years! Unlike some apps you pay for and they stop updating it or they add lots of in app purchases ZoomNotes updates regularly and they are quick to add functionality and new features like support for Apple Pencil 2 already!! Best of all they have very responsive tech support and are very quick to answer question. I really like the interface, it's not overwhelming when your trying to work however don't be fooled by how simple it looks, if you start going through the setting or read their manual online you will quick realize that ZoomNotes is so much more than your typical note taking application! Not only can you zoom in and out with no limits you can import power point slides and take notes on top of them (I take notes right on top of the power point slides during my Chemistry lectures) you can insert pictures, audio, documents, you can even have notes inside your notes! It’s possible to create whole presentations and so much more!! It’s easily worth the cost if not more! !